The Palestine Solidarity Alliance joins the call of the 15th Annual Israeli Apartheid Week to “Stop Arming Colonialism”. Israeli Apartheid Week (IAW) is an international series of events that seeks to raise awareness about Israel’s apartheid regime over the Palestinian people and build support for the growing Boycott, Divestment and Sanctions (BDS) movement. This year the PSA together with other progressive anti-racist solidarity organizations will join over 200 cities across the world to call out on the racist state of Israel for its illegal occupation of Palestine and its brutal persecution of Palestinian men, women and children. Saturday March 30th is Palestine Land Day*. This is an important national day for the Palestinian people who have been forcibly removed from their homes and villages since the establishment of the apartheid state of Israel. Saturday also marks the first anniversary of the Great March of Return**, a brave and gallant non-violent campaign to break the siege on Gaza which has unfortunately led to hundreds of targeted killings and deliberate wounding by the Israeli snipers. As South Africans who have overcome the cruelty of apartheid, we recognise that we are duty bound to enhance the struggle of the Palestinian people for freedom and dignity, against tyranny, racism and injustice. We also recognise that our best means of achieving this is through Boycotts, Divestment and Sanctions.We thus call on all freedom loving South Africans to join the growing BDS movement and to participate in our activities or organise your own events as we mark the 15th Annual Israeli Apartheid Week. On Saturday 30 March 2019, a united solidarity rally will be held at the Women’s Jail at Constitution Hill in Braamfontein, Johannesburg from 2pm to 5pm.A tree planting ceremony to commemorate the over 200 civilians killed during the past year of the Great March of Return will be followed by inputs from activists in Gaza, solidarity groupings in South Africa and our special guest from Hebron Badee Dwaik. As the PSA we are glad to have Badee Dwaik as our IAW guest for 2019. Comrade Badee is a non-violent grassroots activist from the occupied city of Hebron where attacks by settler Jews and the IDF is a daily occurrence. Organizations wanting to host Badee AlD waik and media institutions wanting to interview him can contact Firoza on 0836346093. A more detailed biography follows below. We are excited to announce that during this year’s IAW we will also launch a book of poetry by Omar Don Mattera, one of South Africa’s national treasures and a dedicated campaigner for human rights. The book, Song for Palestine is dedicated to the children who live under the harsh realities of apartheid Israel. All people who value human dignity are invited to attend this event on Saturday 6 April 2019 at The Mix in Sophiatown, Johannesburg from 14h00 for 14h30. Please contact rinkie@sophiatownthemix.com to confirm a seat. 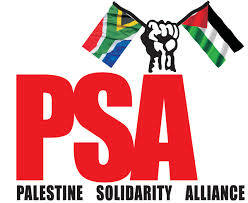 The events of IAW are jointly organized by the Palestine Solidarity Alliance (PSA), Palestine Solidarity Campaign (PSC), BDS South Africa, Ahmed Kathrada Foundation, South African Jews for a Free Palestine (SAJFP), Media Review Network, Kairos South Africa and a number of trade unions as well as grassroots civil society organizations. On 30 March 1976 thousands of Palestinians from towns and villages in the Galilee region, northern Israel, marched in protest against an Israeli order to confiscate land belonging to indigenous communities in the area. The equivalent of 2,000 hectares was ordered for appropriation, to be handed over to Jewish settlers. Israel’s attempt to seize land was viewed as a continuation of the policy to “Judaise” the territory at the expense of Palestinians. The vast majority (750,000) had already been expelled by Israel and the land and property they left behind was seized by the Israeli government through dubious legal means. To protest against the new measures, the Palestinian population declared a general strike.Israeli security forces reacted by deploying the army, border police and armoured units to the Palestinian villages. Violent confrontations ensued resulting in six deaths and injuries to over one hundred people. Historians documenting the incident reported that Israeli forces broke into Palestinian villages and coordinated operations against protestors in a manner usually seen in combat, despite the fact that the protestors were citizens of Israel expressing their outrage against state oppression. The event has been marked annually since Yawm Al-Ard or Land Day. Palestinians hold vigils and plant trees in solidarity with those who lost their lives resisting Israeli aggression. The Land Day protest is regarded as a major turning point as it was the first time that Palestinians within Israel, who had lived under martial law since Israel’s founding, had mobilised to resist ongoing land theft. Commemorative events are held by Palestinians across the world as further reaffirmation of the unity between Palestinians who remained and those who were expelled by Israel. The vigils also draw attention to the continuation of the policy of settler-colonialism and “Judaisation” that has been aggressively pursued by subsequent Israeli governments since the founding of the country to this day. SOURCE: Middle East Monitor, March 30, 2018. On 30 March 2018, a six-week campaign composed of a series of protests was launched near the Gaza-Israel border. Called the Great March of Return, the protests centre around a demand that Palestinian refugees and their descendants be allowed to return to the land they were displaced from in what is now Israel. There is also a desperate call for an end to the blockade of the Gaza Strip and a protest against the United States for moving of their Embassy in Israel from Tel Aviv to Jerusalem. The protests were initiated by independent activists and originally planned to last from 30 March (Land Day) to 15 May (Nakba Day) but has continued for a year already. Five tent camps were set up 500 to 700 meters from the border and were to remain there throughout the campaign. In the first event on 30 March, thirty thousand Palestinians participated in the protest. These numbers have grown over the many weeks that have followed especially on Fridays. The intention was for a peaceful non-violent protest essentially for the basic freedom of movement. Unfortunately this was met by live ammunition and deliberate sniper killings and maiming from the Israeli military, with over 200 deaths, the most deaths since the 2014 bombing of Gaza. Badee Dwaik is a resident of Hebron and a committed practitioner of non-violent resistance. He has travelled and spoken widely in the context of his advocacy for the occupied city and its people. He has a BA degree in Social Work from Al Quds Open University and has been involved in many trainings, workshops, seminars and conferences throughout the world, regarding peace, justice, and the freedom of Palestine. Anoted poet and author, his work has been published in several newspapers and in on-line forums. His poems focus on the actions he has taken part in, most notably, Bab al- shams (Gate of the Sun). He was one of the main organizers of the protest that took place in January of 2013 regarding the Israeli occupation, and continued expansion of illegal settlements. Badee has been fighting for justice for his people since the first intifada, at the age of thirteen and has been arrested and detained about 17 times. His first arrest was at the age of 19, after the Oslo accords were signed. He was sentenced to 3 years in prison and was subjected to harsh interrogations, which caused his view on the Israelis in a more negative way. During his stay in prison, he spent his time studying and learned to know the act of peaceful protest even stronger, and accepted the fact that not all Jewish people were against the Palestinians, and has worked with the extensively in the struggle for human rights, peace and freedom. Since his release from prison, he has been participating in many nonviolent protests, and became the cofounder and coordinator of the Human Rights Defenders in Palestine, and founded the Free Shireen Issawi campaign. He helped to create the Solidarity for Palestine movement, and was one of the freedom riders taking place on 15 November 2011. Badee is also known as a human rights activist from the United Nations and the European Union. He delivered a speech at the Human Rights Council in Geneva on 2017. Badee is determined to continue his participation in non-violent actions, as long as he is able, and is in hopes to welcome the day that his people have social justice, and the Palestinians and Israelis can live together side by side in peace.